There is no better time to celebrate a wedding than in the fall. The weather is crisp, and beautiful; the trees, a magnificent shade of orange, yellow, or red; and the flowers in last bloom before winter settles in. Magnolia Manor is an award-winning wedding venue and many brides and grooms specifically book autumnal weddings with us. With acres of land at your disposal, the various locations on site not only make gorgeous backdrops for wedding photos, but also invite your guests to a welcoming and picturesque environment. In fall, the garden blooms with fall azaleas, making this area of the property especially lovely. It is the setting you’d imagine for an intimate, romantic dream wedding. Another popular on-site location is our woodlands area; a cove of land that beckons guests to a natural escape. 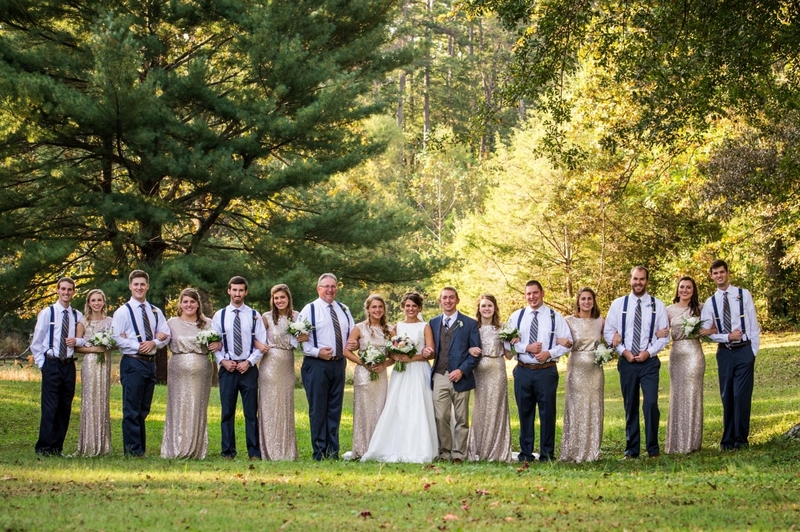 Two acres of evergreens, oaks, and wisteria vines await, and the age-old barn from the 1890s adds the rustic aesthetic that many brides and grooms are seeking. The pavilion is a beautiful location, fitting for exchanging vows at sunset. Stone steps lead from the woodlands to the pavilion, also a preferred location for the reception. It’s all right here for you -- a paradise within walking distance! Its overlook also offers gorgeous views of the woodlands, meadow, and pond to the west with the carriage house, garden, and manor house to the east. 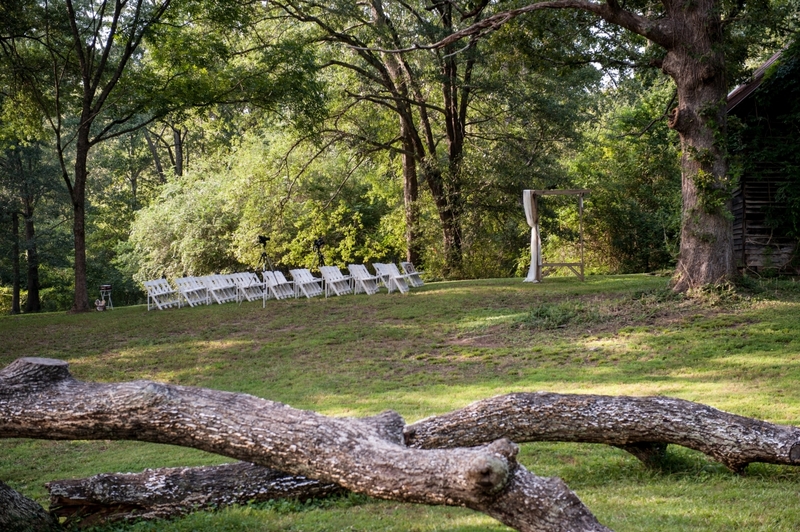 The meadow is lovely for a fall ceremony. The two-acre space is inviting in any season, but truly shines in those autumn months, with views of green pastures and the pond below, all underneath the aged oak trees. 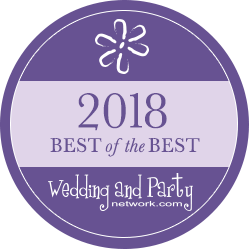 It’s been such a pleasure to watch brides and grooms say “I do” to each other in the Meadow for years, as everyone leaves with memories of that day they’ll never forget! 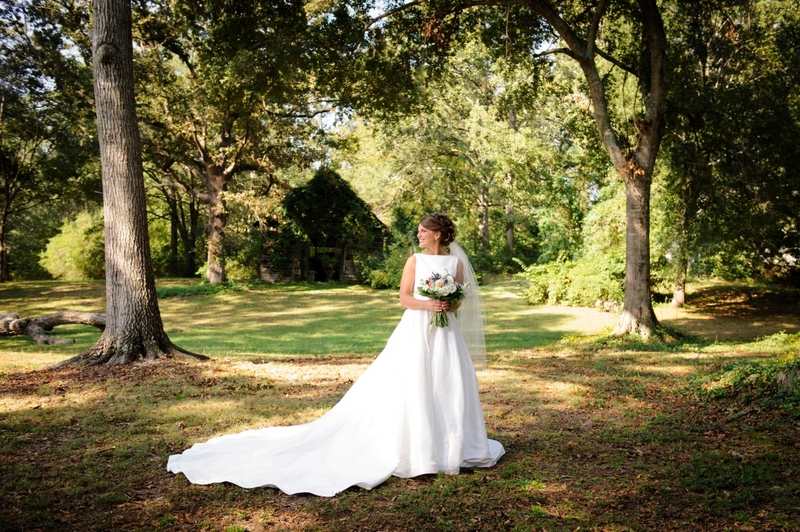 At the Magnolia Manor Bed & Breakfast, we strive to make your special day one you’ll never forget. With the last days of summer upon us, we can’t help but think about the beautiful weddings ahead of us in these fall months. For any questions you may have about our property, contact us today!